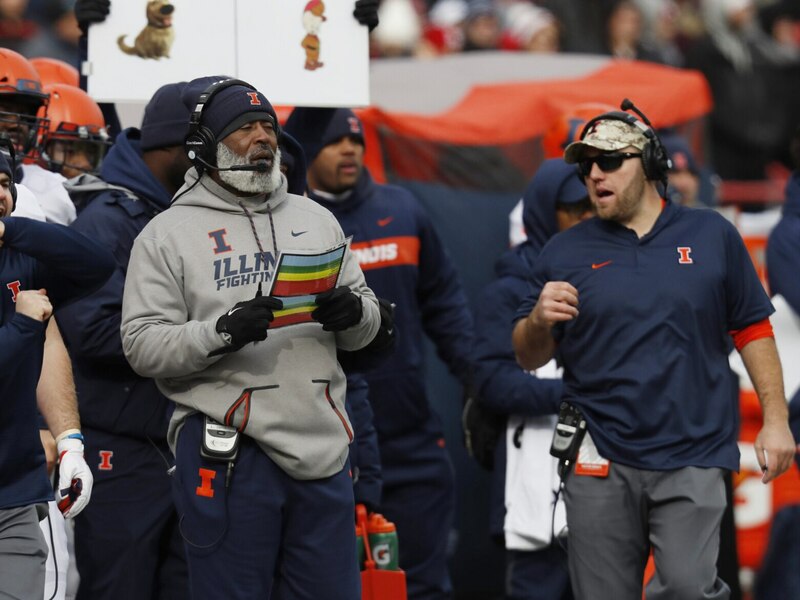 As Lovie Smith struggles to make his Illinois football program relevant in the Midwest, his former Chicago Bears team is doing its thing in the NFL. Chicago enters Week 14 with an 8-4 record and as the clear front runner in the NFC North. It’s been a long time coming for the franchise, and Smith couldn’t be happier for the organization. Smith, 60, coached the Bears from 2004-12. He’s among the most successful head coaches in recent franchise history, having led Chicago to the Super Bowl in 2006 and a total of three playoff appearances. The Bears themselves have not earned a playoff spot since Smith was ousted in 2012. In fact, Chicago has earned a postseason spot just once since 1995 when we take into account every other coach not named Lovie Smith. Still a local legend as the Illini head coach, Smith’s success has not translated to to the college ranks. He boasts a 9-27 record in three seasons and is coming off a four-win 2018 campaign. Smith has to hope that the good feelings we’re seeing from the Bears ultimately finds its way down the road.